Are you taking good care of your root zones? 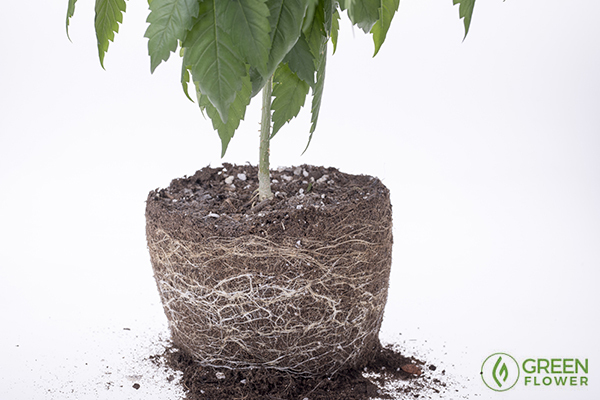 Taking care of your root zone is one of the most crucial aspects of cannabis cultivation. 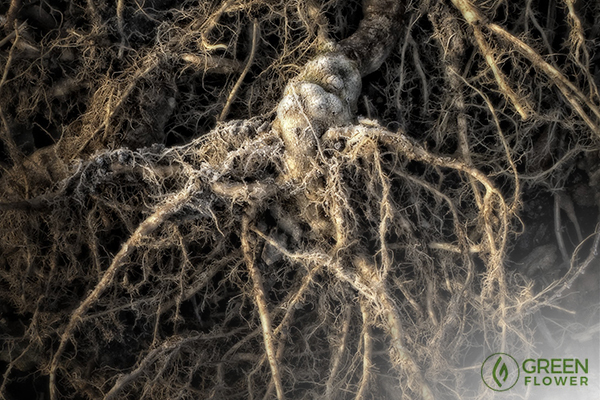 After all, the roots are the primary route for essential water and nutrients to reach plant tissues. Whatever your chosen method of growing cannabis, you can follow certain basic steps to make sure your root zone stays healthy. These steps may vary greatly according to whether you're growing organically, hydroponically, indoor or outdoor – but in the end, the key is to ensure that the roots are getting the basic things they require. Healthy root zones are vital for a healthy garden. The most basic, fundamental aspects of ensuring a healthy root zone are making sure your roots have enough air and water, and keeping them in the correct temperature range. Of course, roots need water. Not only do they need to provide it to all other parts of the plant, their own tissues also need to remain sufficiently hydrated to function correctly. If roots dry out too much, it can stress the plant severely – and normal growth may never resume. On the other hand, roots don't need too much water or they can quite literally drown! This is because plant roots require oxygen for aerobic respiration. Generally, roots "breathe" in oxygen from air bubbles trapped in soil – which is why it's vitally important to keep soil well aerated, if that's your chosen medium. However, roots can also absorb oxygen dissolved in water – so if you're using a method that involves keeping roots submerged in water for extended periods (i.e. deep water culture), it's vitally important to oxygenate that water. Many growers (not only hydroponic) use an airstone or diffuser to oxygenate their water – the tiny bubbles encourage oxygen to dissolve more quickly, as they provide a greater surface contact between air and water. All this must happen within the correct temperature range, or growth can slow or even stop entirely. Healthy root zone temperature is generally accepted to be in the range of 67–75 F.
Are you using the right soil in your root zone? 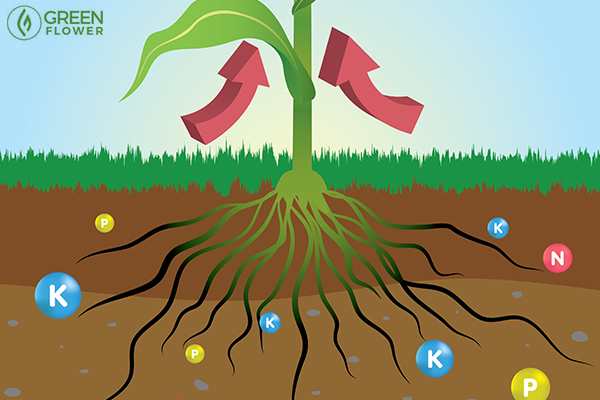 Supply of nutrients is an incredibly complex process, and in living soil, it involves thousands of interactions between roots and microbes such as bacteria and fungi. Organic cannabis growers strive to create a healthy, living root zone comprised of hundreds or even thousands of different species of bacteria and fungi, just like it is in nature. Soil based on a rich blend of organic material (leaf & wood clippings, manure, and so on) provides a great environment for those soil microbes to flourish. Organic growers may create their own soil, or use one of many good-quality commercial mixes. When using non-organic nutrients, choice of substrate is a little wider. Due to the fact that mineral nutrients require very close attention to be paid to dosage, EC and so on, many growers opt to use inert substrates such as coco, clay pebbles, perlite, rockwool and so on – or even to forgo a substrate entirely and use a technique such as deep-water culture or NFT. These methods are less friendly to root zone enzymes, bacteria and fungi, and are less forgiving – if you make a mistake with your feed, you risk serious problems quickly arising! Furthermore, bacteria can clog hydro systems if they build up too much, so many hydro growers routinely clean their systems to remove buildup. However, there are bacterial tonics that can be safely used in many hydro systems, as long as the correct guidelines are followed. If you follow all the recommended steps for your chosen method, it's absolutely possible to create a beautifully healthy root zone based purely on giving it exactly the nutrients and supplements it needs. A lot of interesting life colonizing a healthy root zone. 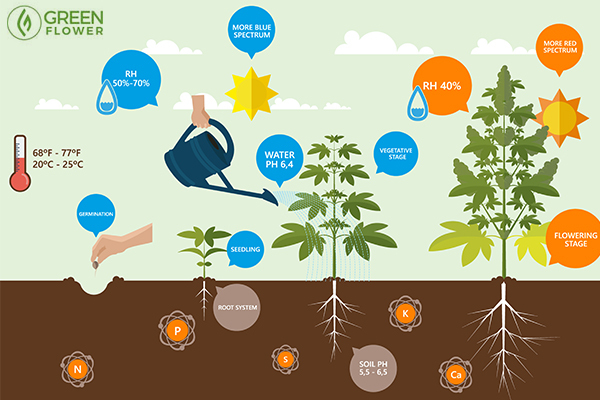 Now, we come to the area of soil health that organic growers widely consider to be the most important of all – the "microherd" of bacteria, protozoa, fungi and algae that colonizes the root zone around your plants. These microbes feed on sugars and other nutrients in the soil (as well as feeding on the rich "exudate" produced by the roots themselves), and produce dozens of crucial substances the plant can then utilize. These substances include essential micro- and macronutrients, enzymes, amino acids, and even auxins (plant growth hormones). All these complex compounds are made available in forms the plant can immediately utilize, and they serve to boost metabolic functions, enhancing growth, development and reproduction. They also help the plant to build up a barrier or buffer against diseases, pests and mold, and prevent nutrient lockouts and buildup of salts. In fact, some species of fungi form such tight symbiotic relationships with the roots of plants that they are named after this unique assocation. These fungi are collectively known as mycorrhizae, a word that derives from the Greek words for fungus (myco-) and root (rhizome). These mycorrhizae come in two distinct types, that are known as endomycorrhizae and ectomycorrhizae. Ectomycorrhizae (ecto- from Greek, meaning outside) are mycorrhizae that colonize the space immediately surrounding the roots. The other type – endomycorrhizae (endo- signifying "inside") are far stranger. These fungi actually grow inside the outer cells of the roots, and extend multiple silky filaments reminiscent of spider's web several millimeters into the soil! These incredible structures, which are known as hyphae, increase the feeding capability of a root by 10 to 1,000 times! In ideal conditions, the mycorrhizae and other beneficial microbe species (which run into the thousands, and include various species of trichoderma, bacillus, and nitrosomonas) work together to create an all-but-impenetrable barrier between the roots and any potential pathogenic invader that may come near them. That's right – if you work to create a healthy microherd in your soil from the beginning, you should find you have very little need to actively fight off pathogens, as your microherd will stop them from gaining access and infecting your precious root tissues! If you manage all the factors we've mentioned correctly, you should be enjoying a thriving root zone with not a trace of ill-health! But if you don't manage your root zone, you run the risk of letting in pathogenic microbes like fusarium, pythium, pseudomonas or phytophthora, which can cause catastrophic root, stem and leaf rot. As well as this, having a healthy, diverse microherd thriving in your soil will protect against other diseases of the cannabis plant, even if the disease isn't directly related to the soil. For example, diseases like botrytis and mildew will be less likely to find points of weakness to attack, as your efforts to keep your root zone healthy will pay off by boosting the "immune system" of the entire plant! Learn Cannabis Cultivation from the Masters! Cannabis Overdose: What Happens If You Consume Too Much?